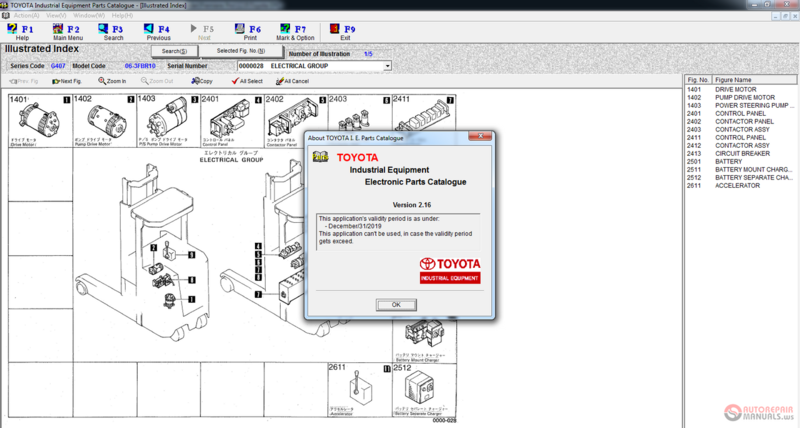 Toyota Industrial Equipment contains electronic parts catalog for Toyota forklift trucks, shovel loaders, sweeper, towing tractors, lift trucks, logistic solution system. 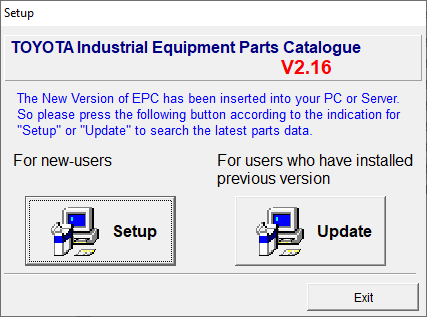 Toyota Industrial Equipment EPC - Original spare parts catalog Toyota Industrial Equipment catalog contains parts and accessories for industrial equipment (including motorized) used in construction, industry, warehousing and municipal services. 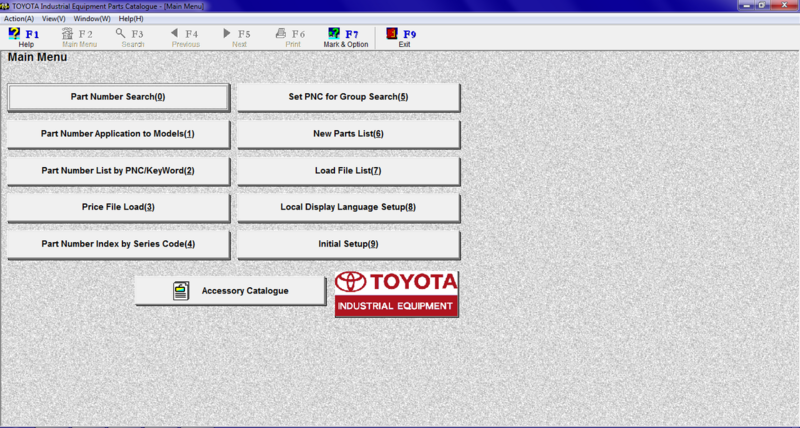 The original spare parts catalog Toyota Industrial Equipment catalog contains parts and accessories for industrial equipment (including motorized) used in construction, industry, warehousing and municipal services. 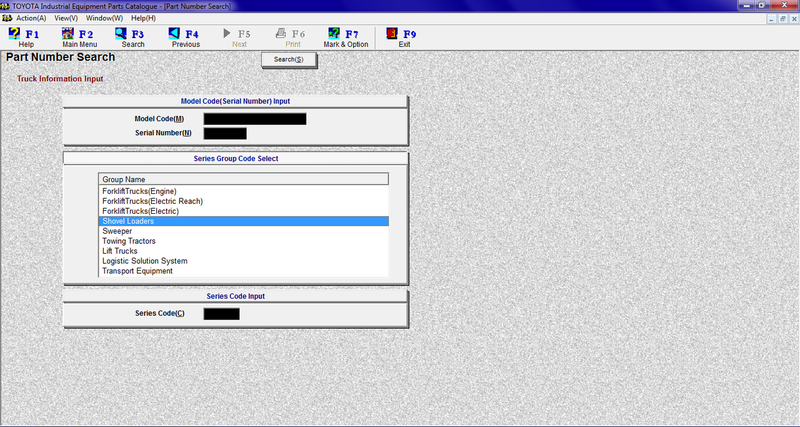 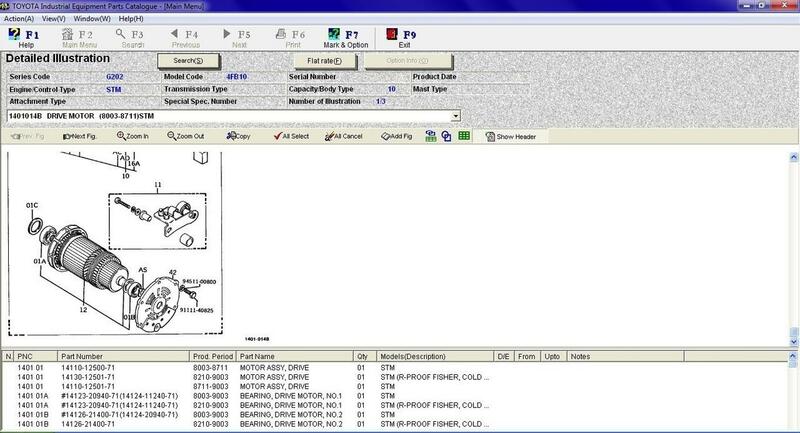 The program interface is Toyota Industrial Equipment is a very simple and easy to use (partly repeats TOYOTA EPC), a search by model name, the decryption code, model and serial number, list details of applicability.